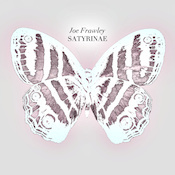 I have been quite taken with Joe Frawley’s work since I was first introduced to it, and Satyrinae certainly further cements that appreciation. Experimental yet accessible, his work challenges us not on a listening level, as in how much of this experiment can you take? but on a listener level. How do we listen to music? What about it affects us, and why? How comfortable are we peering in on someone else’s personal narrative, even when we know it’s fictional? The repeat listens that Satyrinae is likely to get should help you find your way to these answers. Beautiful work from Joe Frawley, as always.